Volcano Watch: Is Kīlauea Volcano’s summit and rift zone activity pau or paused? 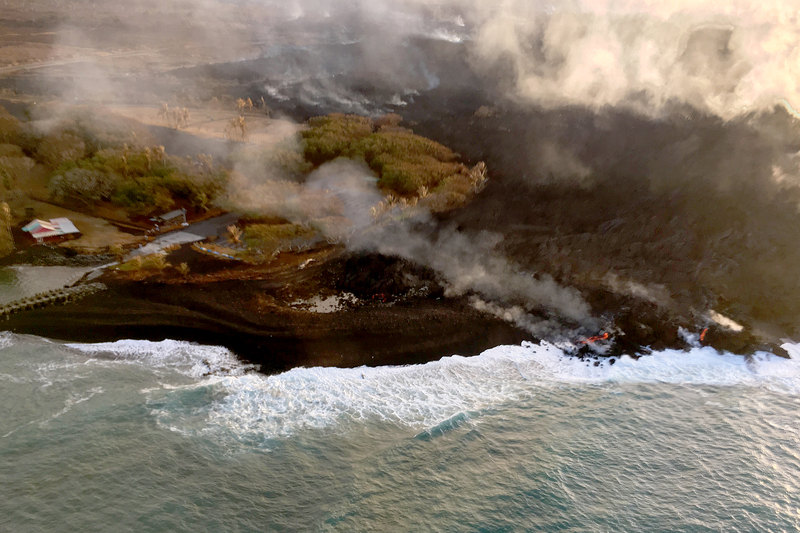 On August 9, 2018, visibly active lava on Kīlauea Volcano’s lower East Rift Zone was limited to a small pond deep with the fissure 8 cone and small streams of lava oozing into the ocean near Isaac Hale Beach Park (shown here) and at Kapoho Bay. 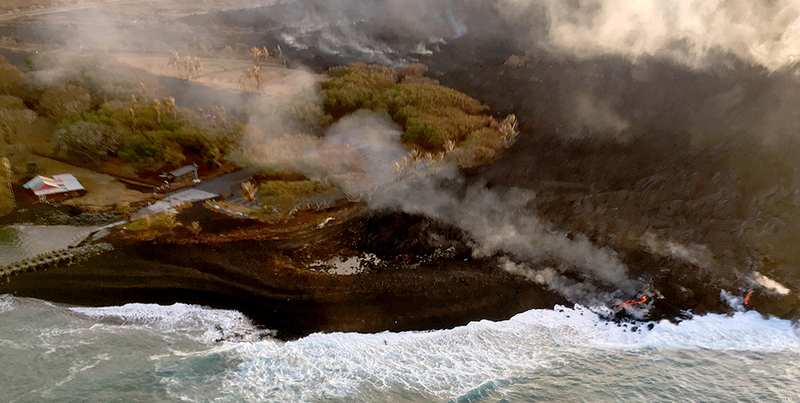 USGS scientists are closely monitoring the volcano, watching for any signs that might indicate if Kīlauea’s rift zone eruption and summit subsidence are pau or paused. USGS photo by I. Johanson.